When news of the school's closing spreads throughout campus, Daphne leads the students of Carlton School for the Deaf in arranging a demonstration to take place on the eve of the "Romeo and Juliet" play, in which Daphne has the lead role. Meanwhile, as one of a handful of hearing students in the school, Bay's attempt to be part of the campaign is challenged. Daphne and Bay plan the perfect birthday for Emmett - an ASL zombie movie shoot with their friends and family. While Emmett is excited about the event, he's also torn up inside about what happened with Simone and how it will hurt Bay. Simone wants to keep what happened between her and Emmett a secret, but someone finds out and threatens to expose their secret. 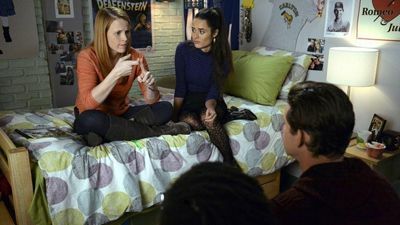 Meanwhile, Kathyrn is devastated to find out that John has been revealing some secrets of their own and Regina has second thoughts about contributing to Kathyrn's book. Bay is thrilled by the opportunity to showcase her newest work in her first art show. Daphne interviews for an internship abroad that would bring her closer to Quinn, causing friction with Mingo. Kathryn’s frustrations with John come to a head when he storms out of a deal negotiation. Meanwhile, John and Kathryn confront Regina over Eric’s secret. In the series 100th episode, a mysterious young woman has Bay and Daphne flooded with memories of their deceased father Angelo, and they must decide if they should let her into their lives. Toby is caught between his mother’s wishes to baptize his son Carlton and his wife’s feelings about faith. Melody asks her sons to make amends so the family can be together for her birthday, but it might be too late. What if Regina had told the hospital about the switch when she discovered it years ago? And what if both girls had been raised in the privileged Kennish household from age three? In "Ecce Mono," this alternate reality is revealed: Daphne has a cochlear implant, and doesn't know American Sign Language. Having been spoiled by her parents to make up for the switch, she's manipulative and not the best student. Bay, on the other hand, is a straight-A student, often trying to compensate for being the Kennishes' non-biological daughter. In addition, Kathryn is a successful author of bodice-ripping novels and, while still married to State Senator John Kennish, their marriage is far from perfect. 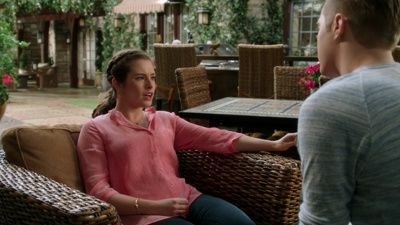 As Bay and Emmett's relationship continues to get more serious she become conscious about his apparent love for Daphne. Meanwhile, Daphne is upset with Regina after learning the truth and spends the day hanging out with Wilke in her old neighborhood. During the Deposition, Kathyrn and John are blind-sided by what they learn and, later everyone confronts Regina over her lies and she comes clean about knowing all about the switch for the past 12 years and how. With no one but Toby willing to give her a chance she packs a few things and leaves. Everyone is looking forward to commencement until shocking news about Carlton threatens to overshadow their special day. 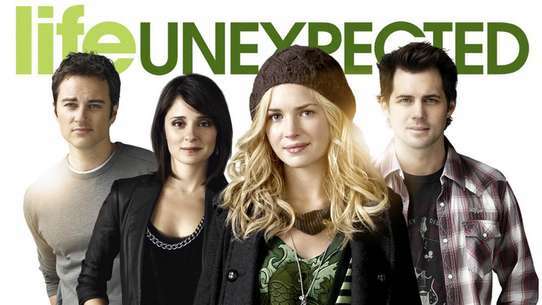 Daphne fears her future is in jeopardy when her past catches up with her. John and Kathryn are not happy when they learn about Bay’s non-traditional post-graduation plans. Meanwhile, Mary Beth is pleased when Travis’s wish comes true. Bay returns from a trip abroad with a new boyfriend, but she must face issues from her past concerning Emmett and Angelo. Meanwhile, Daphne seeks employment help from Kathryn; and Regina impulsively makes a big decision. The Kennish and Vasquez families are starting to fall apart. Daphne and Jeff's relationship is exposed, causing them major problems. Bay and Zarra take off without telling anyone. Meanwhile, the trial reaches a shocking conclusion. 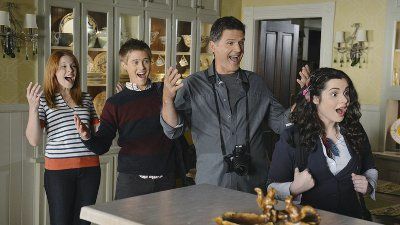 After the Kennish's learn of his involvement with the stolen exam and a talk with Regina, Toby decides to turn himself in and not let Wilke take all the blame. Meanwhile, Bay and Emmett continue to bond in her hunt for her biological father and, Daphne learns of a life changing secret that Regina has been keeping from her. We meet Monica, a teenage Latina who Daphne knew from her old neighborhood. She's on a track team that practices at Buckner Hall. Monica and Simone clash when Simone suspects Monica stole her watch. Daphne and the students of Carlton School for the Deaf find out if their protest will keep the school open, and deaf. Lana goes into labor, Toby makes a surprise announcement, and John's campaign for office ends unexpectedly. Meanwhile, an intoxicated Regina shows up at Angelo's. 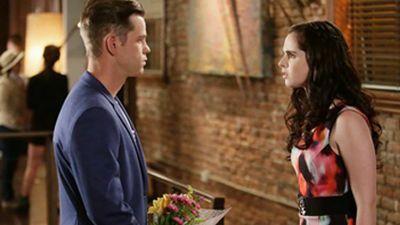 And, will Emmett tell Bay about the kiss between Daphne and Noah? John and Kathryn contemplate telling Toby their true feelings about his decision to marry. Daphne must own up to her mistakes while Bay works on a plan to continue her relationship with Ty while he is overseas. Meanwhile, Angelo finds himself in over his head. One of Regina's clients owns an art gallery and Regina gets him to look at Emmett's photos. Daphne struggles to fit in at her new school as she becomes the subject of gossip at Buckner Hall after an incident in cooking class. Elsewhere, Bay and Emmett grow close while doing some research into her father together. Also, Toby finds himself in serious trouble as he struggles to pay Wilke back the money he owes him which, leads him to do something that could get him in even more trouble. Kathryn takes steps towards getting to know Daphne more after a quite heated conversation with Regina by beginning to learn ASL. And the Kennish's learn that the hospital has withdrawn it's settlement offer and wants to take the case to trial. 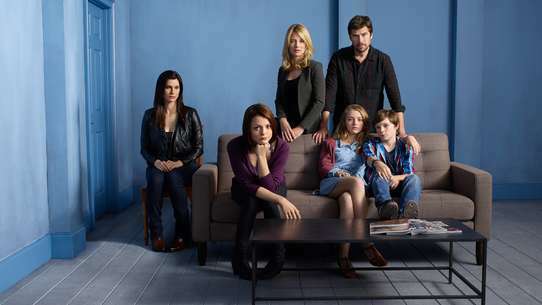 Angelo attends a dinner at the Kennishs' home; Emmett goes to live with his father where a nervous Bay prepares to meet Emmett's father and is high on nerves due to her disastrous relationship with Melody. Meanwhile, Wilke has some shocking news for Daphne and a woman who has a history with John shows up. Also during one of the aired commercials it is shown that Bay and Emmett might take their relationship to the physical level. It shows Emmett asking if Bay wants to quote "stay over, stay over." 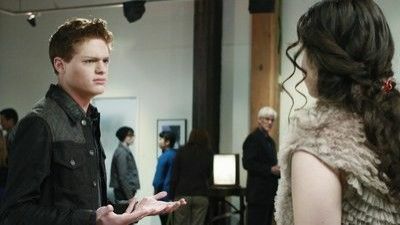 As Bay holds her art-show an unexpected guest makes an appearance and, Daphne opens up to Emmett about the feelings she has for him. As the holidays approach, Bay bristles at Kathryn’s festive holiday spirit, complete with homemade peanut brittle and Christmas karaoke, while Daphne is frustrated with Regina’s usual tradition of movies and Chinese food for Christmas. Then, after a joint family dinner including “magical” garlic knots, they wake to discover that the switch never happened. In this alternate life, Bay is an Olympic hopeful and Daphne is a successful artist with an upcoming exhibit. Is it the Christmas miracle they’ve always wanted? Could they even get back if they tried? Intent on making their relationship work, Bay surprises Emmett with a visit to Los Angeles while he’s shooting his first big class project. Daphne is distraught with her performance in school and the idea of letting Bay and her family down. Kathryn and Toby get the chance to have their musical produced. Meanwhile, Regina is shocked by Eric’s reaction to a buyout offer on the coffeeshop. Daphne takes a volunteer job at a clinic for extra credit and comes face-to-face with her old mentor, Dr. Jackson. While eager to mend fences with him, she grows alarmed when it becomes obvious he’s having trouble properly treating his patients. Daphne’s frustration with Jace comes to a head when Parker shares some upsetting news. Nikki confronts her mom about her dad’s history. Meanwhile, John continues to find ways to pay back Regina for saving his life, and Ty and Bay go camping. Regina has a display at an art gallery. Daphne and Wilke lead a tour at Buckner Hall for several boosters. She's supposed to be talking up the school, but her focus goes elsewhere. When business at Maui, Kansas starts to slow, Bay coordinates a Deaf Day and works with Emmett to organize a special screening of “Deafenstein.” Daphne is shocked at what she discovers when she runs into Chef Jeff and John brings some business to Regina. Meanwhile, Toby tries to help Nikki cope with a family tragedy from her past.